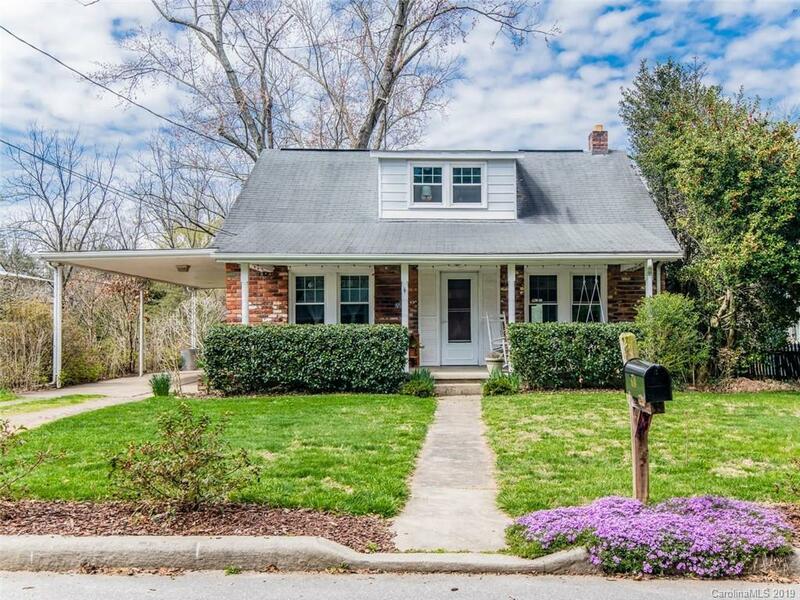 Charming brick bungalow on Brookshire Street in south Asheville just minutes from historic Biltmore Village. From the covered front porch to the original hardwood floors, this home is full of character! The main level features an inviting living room, dining room with woodstove, spacious kitchen, full bath, and a bedroom just off the living room. The upper level features 2 bedrooms and a bright loft space with beautiful built-in's. The backyard is fully fenced and features a fire pit and storage shed.